In recent years, Pilates has become popular with everyone from the pop singer Madonna to Sunderland Football club – so how can it help with arthritis? First developed in the 1920’s, it is now practised by people with many types of arthritis. Pilates helps to strengthen the core muscles deep within your chest, back, stomach and pelvis. Pilates helps to improve flexibility, balance and coordination. Cath will select different exercises for different people, depending on what they need and what their difficulties are. “A good teacher will know how to adapt these exercises for you,” says Cath, director of Experience Wellness. The exercises are done in a slow, controlled way and are good for people who cannot be very active or who are overweight, regardless of age and fitness level. The aim is to help the body to function as well as it can. You don’t need to be fit or even used to exercising to start Pilates, but if you have back pain, it is advisable to see your GP first. Your GP may refer you to a physiotherapist who will probably give you exercises to help with joint pain. On your first Pilates session with Cath your posture will be assessed and she will be able to see how you use your body and give you Pilates movements to help improve your posture. Pilates stabilises the deep muscles around the joints and is recommended for people who have arthritis in their spine because it can help stabilise the lower back. Learning to rebalance your body can prevent further aches and pains. 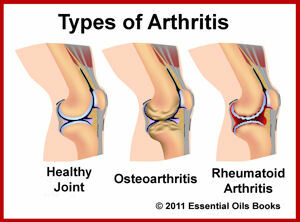 It is the same if you have osteoarthritis too. 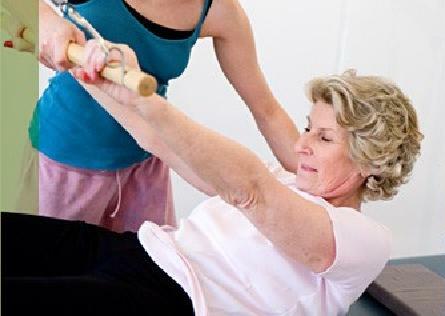 Pilates is definitely worth trying says Rosemary, who has private lessons with Cath. “One exercise that helped my back was to lie on my back with a pillow under my neck for support and my knees raised. I would then slowly raise my back off the floor, going one joint at a time – just very slow and gentle. When you do this, you should pull your stomach muscles in”. You may not be able to get to a class or a private teacher, or a flare up might make a full session too difficult, not to mention exhausting. “I do a few exercises at home if I cant get to a class, and I practice almost everyday,” says Rosemary. After being shown some exercises by Cath at a local pain management group, Derek, 74, started doing leg and arm stretches at home each day. “I began to feel a bit more supple almost straight away and after a couple of months it was easier to get out of bed and up from my chair. I have trapped nerves in my lower back, but my consultant said that even if the exercises caused a bit more pain, they would not damage me as long as I was careful. I find it really helps to keep moving because I don’t want to steadily deteriorate and become helpless. That’s my motivation”. Call Cath for more details about Positive Health Pilates both Private and small groups.